5 Solutions for Reducing Acne Scarring - Mummy's Gone Mad! | Mummy's Gone Mad! Are you trying to escape acne marks from your teenage years? Or perhaps you’re still struggling with stubborn acne that is continuously leaving behind deep scars on your skin? Acne scarring can be difficult to fade and extremely frustrating, especially when you feel the need to constantly cover up your skin with heavy makeup. Check out these five solutions to help reduce your scarring. It can seem quite pointless to try to reduce acne scarring if you’re still struggling with vicious acne breakouts. If this is the case for you, readdress certain areas in your life to see what could be the root cause of your breakouts. How much water are you drinking? What is your diet like? Drinking around 8 glasses of water per day and avoiding sugary and greasy foods will help reduce acne. When you’re taking care of yourself from the inside, your skin should increase in health and vitality. Sunscreen is a must when it comes to reducing acne scars and ensuring the overall health of your skin. Wearing sunscreen while you’re outdoors greatly reduces the risk of sunburn and, in turn, the risk of your acne scars turning even darker. Don’t feel like you need to avoid the sun, though. Some studies have shown sunshine to minimise the occurrence of acne, as its heat is effective in destroying bacteria. On top of this, vitamin D helps strengthen the immune system, which can reduce inflammation and redness. Again, it is still imperative to wear sunscreen and a hat while outside. If you’re struggling with severe acne scarring, consider laser treatment at a professional skin clinic. 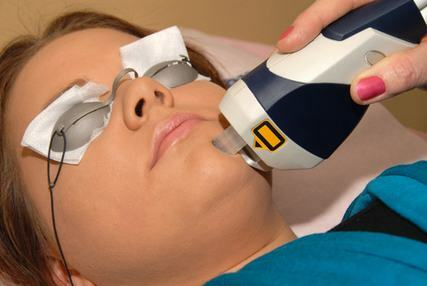 During this type of treatment, lasers penetrate into the deeper layers of the skin and create a controlled wound. When the body produces more collagen fibres to heal the wound, the scars become level with the rest of the skin on the face. Visit a specialist clinic like Cosmetic Surgery for Women to learn how laser treatments could help your scarring issues. Chemical peeling decongests and exfoliates the skin to help reduce acne scarring and lighten hyperpigmentation. After a chemical peel, new skin cells are produced and your skincare products can penetrate into your skin more effectively, resulting in better healing results. For smaller acne scars, try out some natural, homeopathic remedies. Apple cider vinegar is one such remedy that helps balance your skin’s pH levels. Over time, apple cider vinegar can heal existing acne and lighten the appearance of red marks. It’s important to dilute the vinegar in water before applying to your skin. Sandalwood paste is another natural remedy that is renowned for its healing properties. After combining a tablespoon of sandalwood powder with milk, apply to the affected areas on your skin. Leave on for around 30-35 minutes, then rinse. It’s important to remember that natural remedies can take a little longer, so keep patient and stay committed to a regular regime.